Pioneers in the industry, we offer gear blank from India. 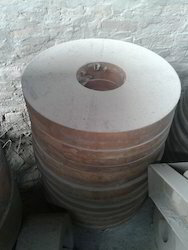 We are the leading manufacturer, supplier and exporter of Gear Blanks. These are manufactured from high grade raw material and are made from state of the art technology. Owing to the high manufacturing standards these are in high demand from our buyers and are supplied at competitive rates. Size - OD 595 x ID 130 x THK 55 mm. Looking for Gear Blank ?